The form also includes a daily average Production Analysis and Advance Schedule. 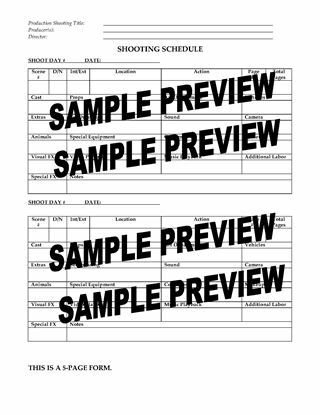 The Daily Production Report for Film Shoot is a digital template that can be filled in on a laptop or tablet, or printed off to be filled in by hand at the end of the day's filming. 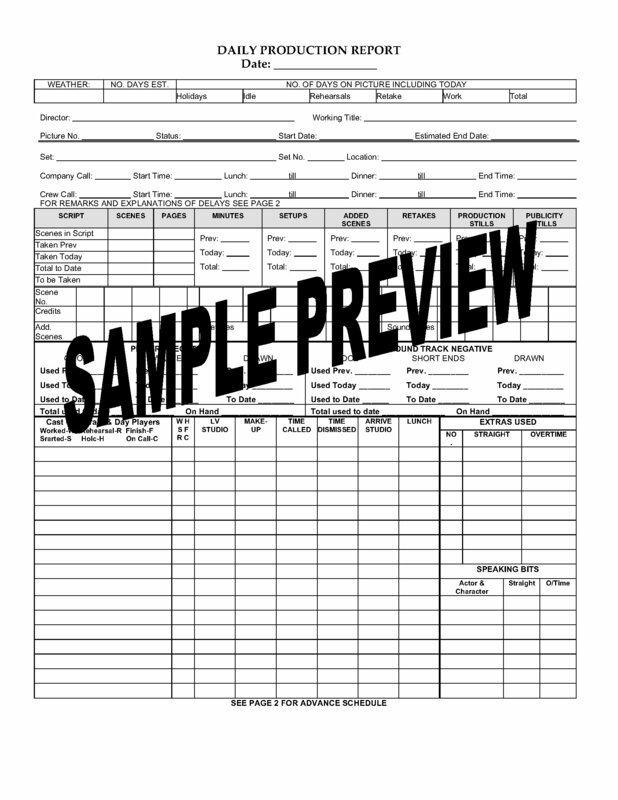 This Production Requirements Checklist should be the first production form you obtain. Then as you fill each requirement, check it off the list. Sign a contract with a property owner to use their home or land as a location in a motion picture with this Film Location Agreement. The owner of the property will permit the production company to use the property in connection with the production, exhibition, advertising and promotion of the film, in return for a per diem fee. The owner may also receive a screen credit, at the producer's discretion. The owner agrees that the production company may make alterations to the location as required, provided that they first obtain the owner's written permission. The owner indemnifies the production company and releases them from any liability, claims or demands. The Film Location Agreement template is fully customizable so it can be used on multiple locations and on subsequent film projects.